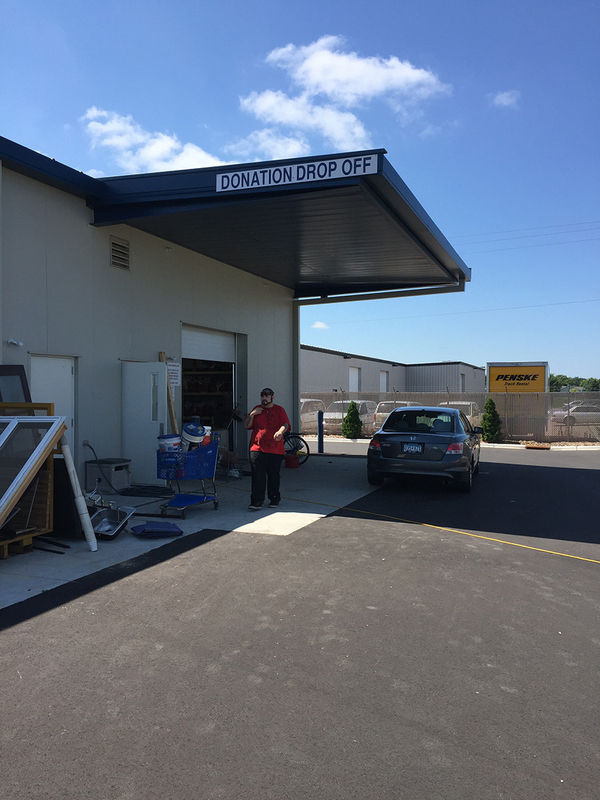 If you're interested in donation drop off at the Mankato ReStore, we accept donations of new and gently-used quality building materials, appliances, furniture, and hardware during donation hours. All donations are tax-deductible and staff or a volunteer will provide receipts upon request. Please take a moment to review our Donation Acceptance Policy. The purpose of this list is to provide a general outline for items we do and do not accept; however, it is not complete. If you have any questions regarding your donation drop off, please contact us. As you can understand, not every used building material or appliance has high demand for resale. We are somewhat selective in the donations we accept to ensure that ReStore profits flow directly into building Habitat homes. Note: Donations are not accepted after hours. Anyone leaving items or material after business hours may be subject to prosecution. Thank you for your cooperation. Mankato ReStore donation drop off is located at the back (north side) of the building. Staff and volunteers are available to assist with unloading items.